Who Has Time to Read 5,000 Medical Journals? Let the TMA Knowledge Center alert service keep you up-to-date with the newest articles and latest developments in medicine and the business of medicine. TMA Knowledge Center staff create custom searches set to run each week. The results of these searches are emailed directly to you, or accessed via RSS feed. TMA Knowledge Center alerts provide citations and abstracts along with some full-text access. It’s a free member benefit! Sign up today! Bibliography Services: Request custom bibliographies from the TMA Librarian by calling (800) 880-1300, ext. 1548, (512) 370-1548, or email Barbara Tims. Fee is $15. Hot Topics Bibliography: Find recommended citations and web sites for free on the latest issues in medicine , including concierge physicians and time-of-service payment. ACCME Needs Assessment: The Knowledge Center is offering bibliography services to aid in meeting the AACME needs assessment requirements. These services are provided free for county medical society sponsored CME activities. Specialty society and other CME sponsors may purchase bibliography services for $15. To request research, fill out our online form. 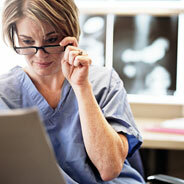 Earn CME Credit While Improving Patient Care by Searching TMA E-Resources! : Would you like to earn CME credit for improving patient care? You can! Simply identify a clinical or health business question, search evidence-based databases available through TMA, and describe applicable findings on the online evaluation form. Article Requests and Interlibrary Loan: To request articles contact Barbara Tims at (800) 880-1300, ext. 1548, (512) 370-1548, or email Barbara Tims. Articles available through the Knowledge Center collection are provided free of charge as a member benefit. Articles not owned by TMA can be ordered through interlibrary loan on a fee basis. For Loansome Doc services available from PubMed and the NLM Gateway , click on the list of medical libraries in Texas that provide Loansome Doc to unaffiliated patrons. TexShare Library Card: TexShare is a statewide consortium of academic libraries, public libraries, and libraries of clinical medicine, administered by the Texas State Library and Archives Commission and funded by the Telecommunications Infrastructure Fund. TMA members may request a TexShare card that gives them borrowing privileges at participating TexShare libraries. Got Library Questions? Call, email, or submit a request to the Knowledge Center. Visit the TMA E-Resources. These include databases such as PubMed, MD Consult and more. For a list of titles to which TMA owns subscriptions, consult the core collection list. Search books in print and the History of Medicine Collection.